Want to reduce operating costs, eliminate commuting time and expenses, and have a more flexible work schedule? 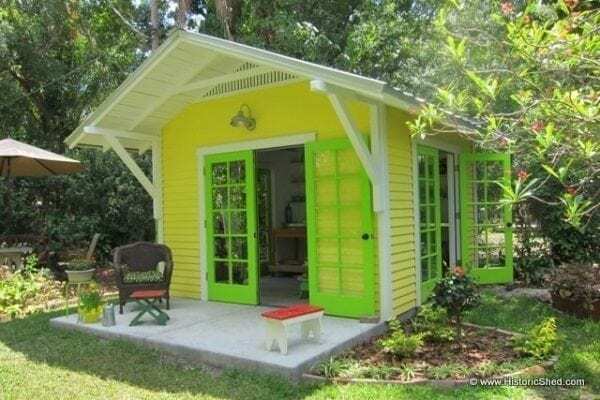 A Historic Shed™ outbuilding can create a perfect Home Office or creative Art Studio. There are many benefits to working from a home office or art studio including reduced operating costs, eliminating commuting time and expenses, flexible scheduling and overall convenience. However, setting up a home office on the dining room table or in a spare bedroom can create clutter and be filled with household distractions. 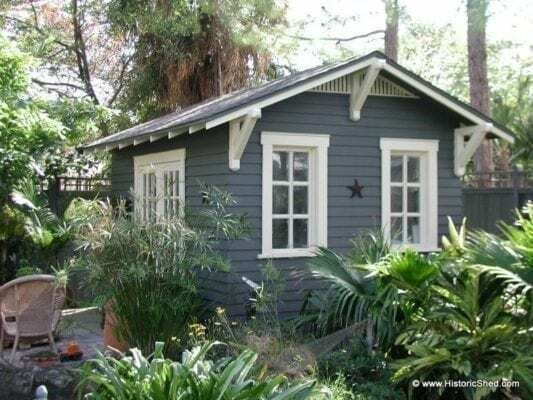 A Historic Shed Home Office allows you you eliminate the difficulties and distractions of working from home while enjoying all the benefits in a private setting. Our most popular design is a 10’x14′ Home Office with a pair of single light wood French doors and a single window on one end, but we can create the perfect space for your specific needs. Interior finishing costs depends on your choice of drywall or wood, with our traditional interior trim work. Other sizes and options can be adapted from our standard Gable Sheds and Hipped Sheds, which can be delivered with either a finished or unfinished interior. This design can be adapted to suit your individual working needs as well as to complement the architecture of your property. Call us to discuss your shedworking needs and we can create a custom design for your home office. If you prefer to build your own, select plans for Historic Shed outbuildings are available at: https://historicshed.com/store/products/category/plans/ Additional plans will be added periodically.